Come on, get appy! 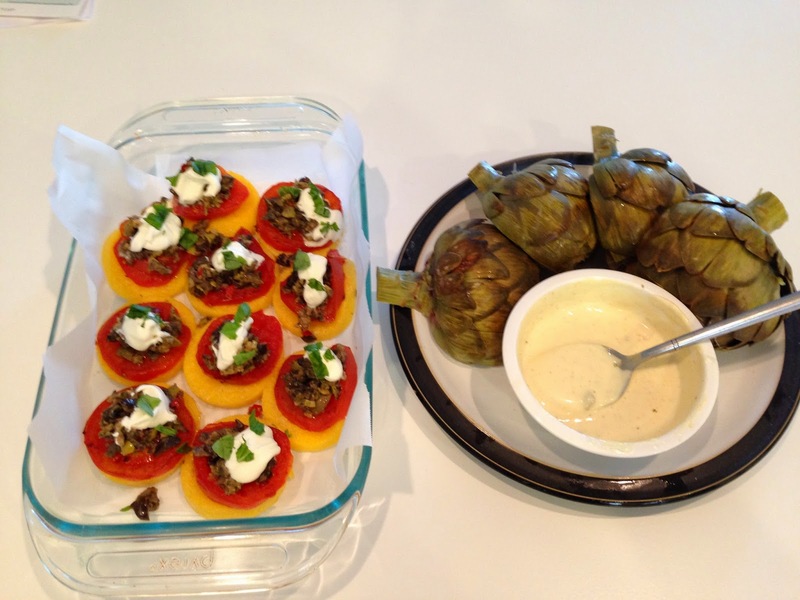 No, not an iPhone app, not an appendectomy…an appetizer! I could eat appetizers all day long. Cheese boards. Baguette. Hummus. Artichoke and spinach dip. Everything just seems to be more decadent and taste better when it is in amuse-bouche form (in fact, quit what you are doing right now, and do a google image search of amuse-bouche. ooooooohhh, aaaaaahhhh). And quite honestly, if I were on Top Chef, this would be my specialty, because I LOVE hors d’oeuvres. Fun fact about me: I once co-hosted a book club with my best friend just for the appetizers. 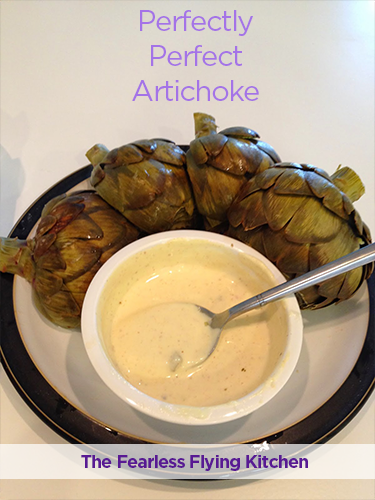 Place the artichoke, cut side down in a pot. Add two cloves of garlic, two lemon slices and two bay leafs and cover with veggie broth. You can easily make your own, which will be coming in a future post. 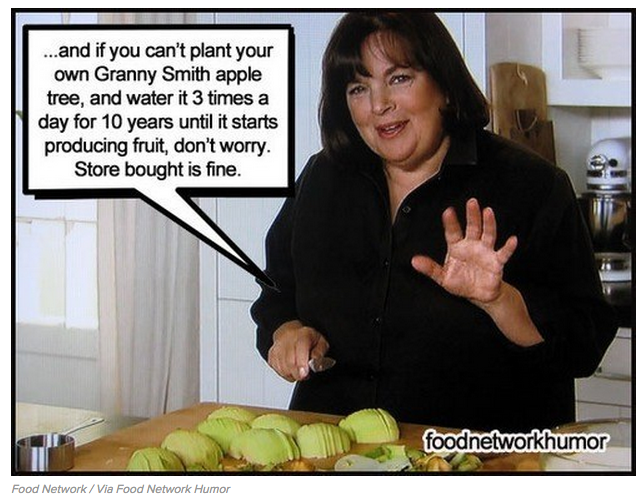 However, in the words of my favorite celebrity chef, Ina Garten, store bought is fine. To make the dipping sauce: combine mayonnaise, mustard, and then a few tablespoons of the veggie broth mixture you just boiled the artichokes in. I think I also added a couple other spices, but I really can’t remember. Maybe some dried basil and oregano? Salt and pepper? I don’t know, but it was delicious. I am sure whatever spice you put in there would be delicious. This is REALLY easy to make and will seem very gourmet. I have done this with home made polenta as well as store bought polenta as well as different varieties of olive tapenade. They are all delicious, and it really just depends on how much time you want to invest into this. Preheat griddle over medium high heat and spray with some cooking spray, butter or a little olive oil. Slice polenta into 1/4-1/2 inch pieces and place on grill. Cook on each side for 2-3 minutes, not very long because it is already cooked. Just until heated through and has some delicious looking grill marks. Remove form heat and arrange on dish. 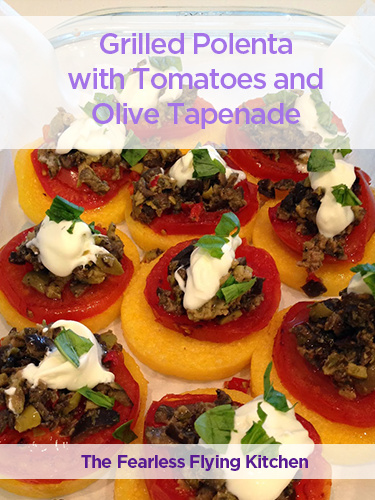 Slice tomatoes into thick slices and grill like you did with the polenta. Once it gets beautiful grill marks, place on top of each polenta slice. Top with a half Tbsp of Olive Tapenade of your choice (I have used three different Olive Tapenades from Trader Joes, and all are excellent, probably leaning more towards the one found in the refrigeratedsection), a dollop of Creme Fraiche or Sour Cream (or, on that note, Greek Yogurt if you are really trying to make this healthy) and then a sprinkling of fresh basil.